Morgan James Publishing, 9781683503354, 162pp. Are you the one who saves the day at work? Does your family expect you to do it all when you get home? Perhaps you used to like being thought of as reliable, but you long for a life of your own again--one with fewer emergency circumstances and people who need lots of "help." It isn't just you. Many women have been socialized to quietly pick up the slack and not complain--this is a setup for isolation, second guessing, and waiting for rewards that never come. This is what Sasha Mobley calls The Strong Woman Trap. We are playing too hard at a rigged game that we didn't create. We spend our energies managing demands and treat our own emotions and needs as irrelevant. Sasha provides a hard look at the cultural beliefs that set strong, driven, ambitious women up for a life spent constantly saving others from themselves, filling in gaps, and going it alone like a hybrid of Wonder Woman and Working Girl. 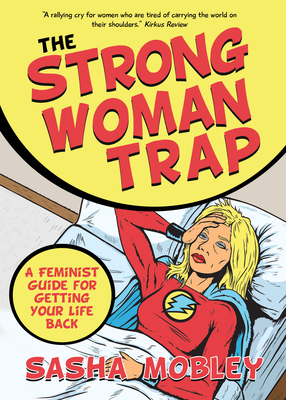 The Strong Woman Trap is the book is for women who spend their spare moments looking wistfully through magazines telling themselves their dreams are just one more personal sacrifice away. Wishes won't get you there. Neither will doubling down on old strategies. What will get you there is learning the secrets to escaping The Strong Woman Trap. Sasha Mobley is a certified life coach and author of Agile! The Half-Assed Guide to Creating Anything You Want from Scratch--No Experts Required! as well as Sylvia, Sylvia, So Fast Sylvia, and Sylvia, Smarter than the Teacher. When she isn't writing or working with clients, Sasha can be found enjoying the charms of the California coastline, experimenting in her kitchen, paddle boarding, studying Japanese, or watching anime. If she's not doing those things, she's probably rollerskating with scissors or encouraging other disobedient behavior. Sasha lives in Silicon Valley with her lovely wife, Keri, two dogs, and three cats.